Land surveyors use many methods to mark boundaries and write land descriptions. The main job of a land surveyor is to accurately and completely describe a piece of land and designate its boundaries. What is the best way to accomplish this? It can vary, based on the type of land you are surveying. PDH Academy offers a course for land surveyors that teaches some of the most common types of surveys and their specifications, as well as land surveyor continuing education courses on many other vital topics. The Department of the Interior, which manages public land in the U.S., has published a handbook that outlines specifications for descriptions of land. You may think, depending on where you live, that public lands are a small portion of our country’s total area of almost 4 million square miles. But in fact, the DOI manages 500 million acres, which is a fifth of the entire U.S. The Bureau of Land Management presides over about half of this land on behalf of the DOI. The DOI maintains that the quality of the land survey is paramount in the security of title to the land. If the land is not accurately measured or if it is poorly described, disputes over boundaries or even ownership could arise. Surveys are traditionally done as part of any land transfer, and definitely before a development project. Even though the land has usually previously been surveyed, each time a new owner takes possession, they want to be sure they know what they are getting. With private homes in small subdivisions, the boundary lines are important not only so owners know exactly where their property begins and ends, but also where they are permitted to erect a fence. As the saying goes, fences make good neighbors. But they also make for arguments if they are put up outside of the boundary line. Other neighbor disputes have arisen over local laws governing how close to the property line residents can build. What if a neighbor’s new deck comes a foot over the property line? Maybe the party who has been encroached on won’t notice. But if they do, it can be the start of an expensive legal problem. Even structures built entirely on the homeowner’s property could be in violation of local ordinances if they are too close to the property line. For instance, a homeowner might want a shed to keep their lawnmower and tools in. They want to preserve as much open space in their backyard as possible, so they erect the shed at the edge of the property. But if it’s too close to the edge, it may have to come down. Developments in congested areas can sometimes run into regulatory issues. Another thorny situation that can arise in congested areas or commercial development is the existence of easements. Many rowhouses or other dwellings in crowded cities have easements to allow residents to park their cars. Often these are alleys in the back of the homes, which are, narrow, one-way lanes. Similar situations can be found with driveways. A homeowner may need to drive on their neighbor’s driveway to get to their own. If the new homeowner is not aware of this easement, trouble could brew. Easements can be tricky because they are often granted by a particular party for a certain period of time, and the new owner may not have any power to change it. This may have little to no effect on their desire to buy, but other times it can have a profound impact on a deal. Property owners are not allowed to build on an easement, so if a potential owner has plans to add on to the home, build a guest house, garage, or pool, they may be prohibited from doing so. Not having this information before the sale can make for a seriously disgruntled homeowner. The issue can get even thornier when a homeowner doesn’t stop their neighbor from encroaching. For instance, if homeowner A “accidentally” builds on homeowner B’s land, and homeowner B doesn’t want to make trouble so says nothing, what can happen is homeowner A can eventually claim ownership to the parcel of land they encroached on. This is bad enough when homeowner B finds out about it, but if they never do and an unsuspecting buyer purchases the home, they will likely be unhappy by the revelation. Easements, rights of way, encroachments, adverse possessions, and other types of situations can all impact the boundaries, usability, or even the very existence of a particular piece of land. Thus, land surveys, including careful and thorough descriptions of the land, are necessary. However, do not confuse the terms “legal description” and “land description” — they are not interchangeable, and have, in fact, evolved in meaning over the years. Today, the land description is included in the legal description, which encompasses much more, such as the use and purpose of the land. The land description includes such information as the surface type (water, land, submerged, etc. ), the existence of any buildings on the land, paved areas such as driveways and sidewalks, structures such as fences and natural features such trees, stumps, large rocks, etc. Each state has its own legal requirements as to what must be included in a land survey, so learn what they are in each state you work in. Your land description can also help the potential buyer determine whether the parcel is viable for their purposes. If, for instance, part of the parcel is wetlands and cannot be built on, this should be noted. Local zoning regulations can also prohibit some types of buildings from being erected or businesses from opening in designated areas. If a tall building is planned in an area in which prized views would be blocked, this could also be a legal issue. 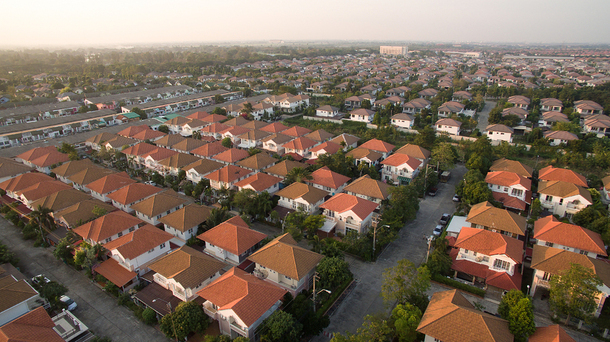 Some regulations on subdividing can also affect a purchase. A developer who plans to build a dozen houses on a few acres may find their plans prohibited by local laws. As an experienced land surveyor, you may also want to provide advice as to the usability of the land. If the parcel is mainly hilly, contains rock formations or many old trees; if the soil is particularly rocky, sandy, or clayey — all these factors can determine the worth of a parcel of land to its potential buyer. There are three main types of descriptions for land, although any survey can combine elements from one or more of the three. The first is the Public Lands Survey System. The Land Ordinance of 1785 allowed settlers to buy land in the west, as yet unsettled. In order to divide this undeveloped area into parcels to sell, the Public Lands Survey System was created. Land was divided into townships of 36 square miles, and each square mile (640 acres) was assigned a number. Whoever bought these sections could then divide them again and sell each piece. Sections can be divided into halves or quarters, and each section can be quartered again, and so on. When using PLSS records, the parcel will often be identified by township number and by a range number within that township. The township number tells you how many cells to the north or south of center the parcel is. The range number tells you how many cells east or west it is. Although land surveying has been done for centuries, the tools and techniques used the in the 1700s were not as precise as the ones in use today. For that reason, not every square mile has been accurately measured, and you may find some discrepancies when using the PLSS. For instance, Ohio was the first state to use this method of measurement, and it was in its infancy at the time. Thus, you may find boundaries in this state to vary due to the developing methods of measurement. In parts of Louisiana, a French measurement was used called the French arpent. These land divisions are long and narrow and differ from the standard PLSS measurements. Although the boundaries of a parcel may differ from standard norms or even be incorrect, they cannot be changed at this point because they have been in use so long. They may be noted, however. Once you have surveyed a plot of land using the PLSS, how you write your report and file it has serious implications and consequences for land ownership and subsequent land transfers. The use of abbreviations for directions, periods, slashes, and commas have distinct meanings. Using a comma in your descriptions is understood to mean “and the;” no comma means “of the.” Thus, a misplaced comma could describe a parcel of land as being more than ten times larger or smaller than it is. Surveying land in a rural area can require different methods and techniques. The second type of land description is often referred to as metes and bounds. These plots of land are more often irregular in shape, which is what differentiates them from the more standard rectangular plots. Instead, these types of surveys rely more on meridians and specific descriptions of land. A land survey of this type might include language that says a boundary is marked by an iron stake in the ground or a particular rock, stone, or wall. The third type is a lot-and-block survey — the type land surveyors do based on maps already on file with public offices. This type of survey is particularly useful in urban and densely populated areas. When the plats, or sections of land, were originally marked off, they were much larger. One square mile can now easily be divided into more than 3,000 sections. A method was subsequently developed to give sections names, numbers and/or letters. When using the lot-and-block survey method, you must identify the land by the lot and block numbers assigned to it as well as the subdivision. Further, you should note the location of the official map on which this is recorded — book, page, etc. Many of these land records have likely been on file for 100 years or more. While it is important to certify that the boundaries and descriptions previously recorded are correct, the designations previously assigned to areas and parcels make it easier to be more thorough and precise. PDH Academy provides many land surveyor continuing education courses to help you renew your license and to keep you abreast of important developments in your field. All our land surveyor continuing education courses are held online for your convenience. You simply take the course at your own pace and receive a certificate of completion when you pass the exam. 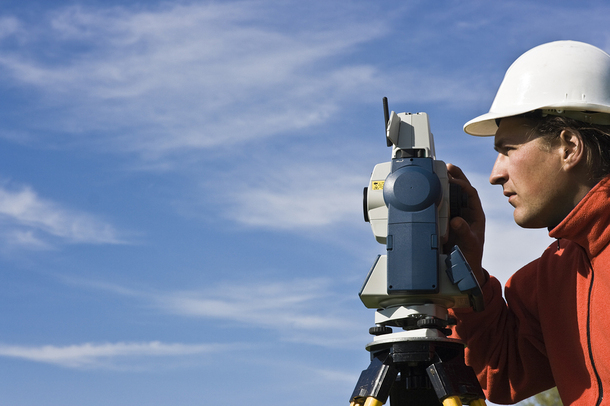 Check out our approved land surveyor continuing education courses today. What are Some of the Important Qualities Found in a Land Surveyor? 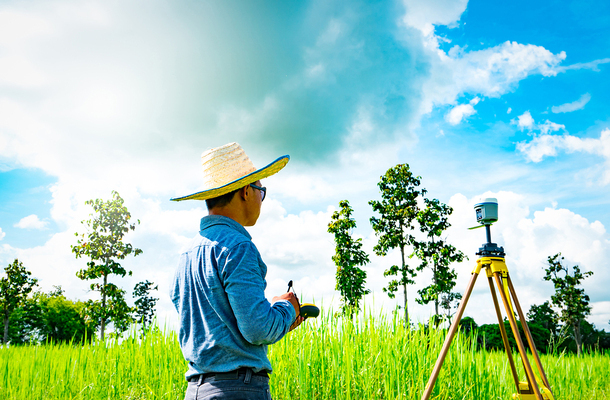 Who Might You Work For as a Land Surveyor?